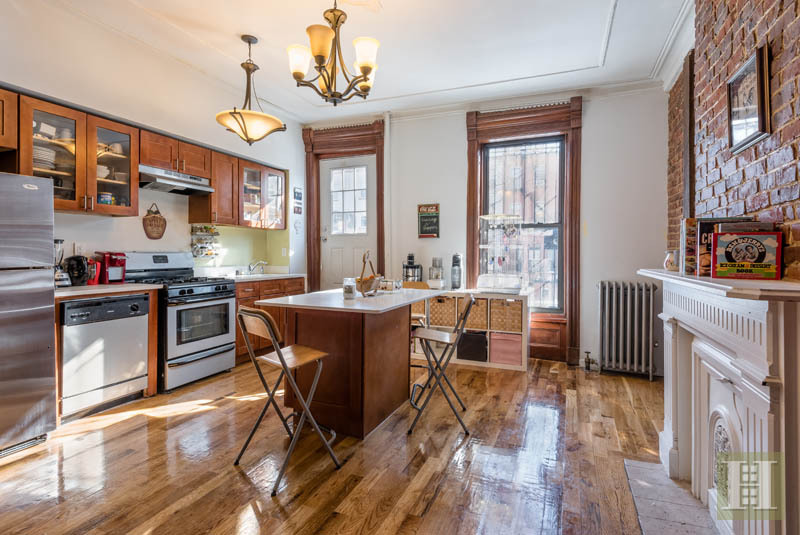 If you’re in the market for a classic Brooklyn brownstone with all its details intact, check out this home for sale at 454 Jefferson Avenue in Bed-Stuy. 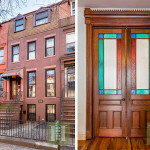 The Second Empire-style house, which is four stories and holds two units, is boasting well-kept interior details alongside some more modern renovations. 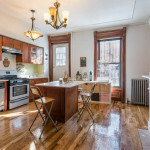 Simply put, it’s a solid brownstone property without any special frills–just the exposed brick, wood floors and large windows. 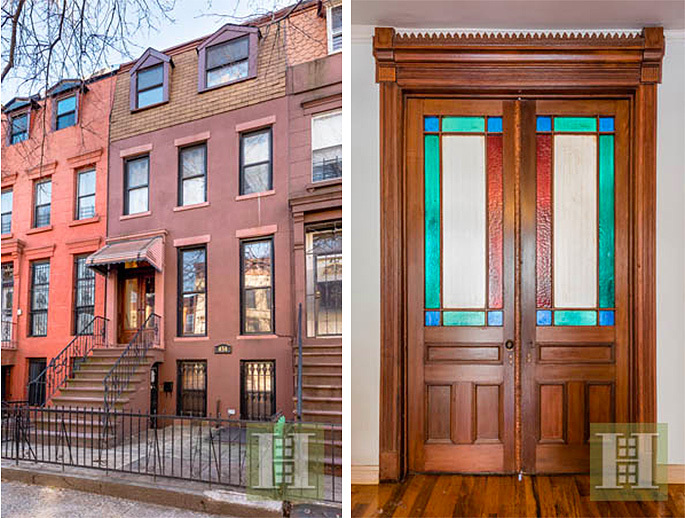 It’s asking $1.55 million. 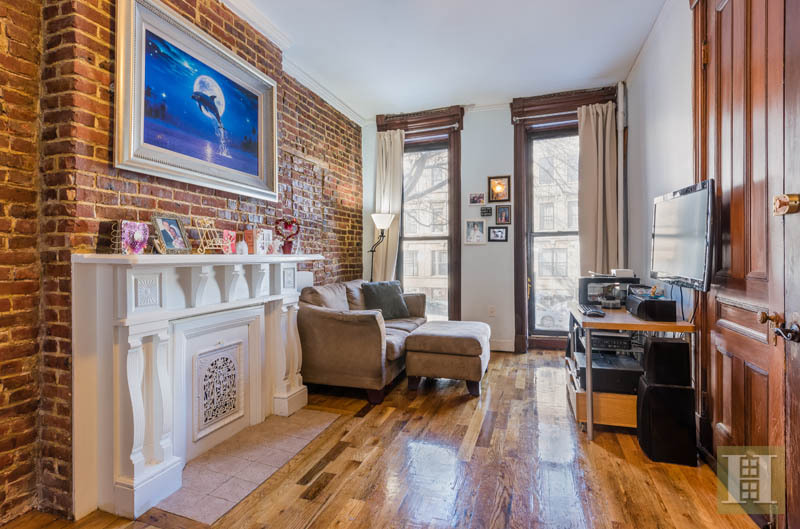 Besides all that exposed brick, interior features include pocket doors, fireplaces, five decorative mantles and hand-crafted ceiling medallions. 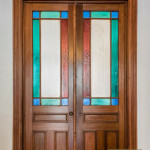 There’s also a lovely pocket door with stained glass windows that separates the living room from the eat-in kitchen. 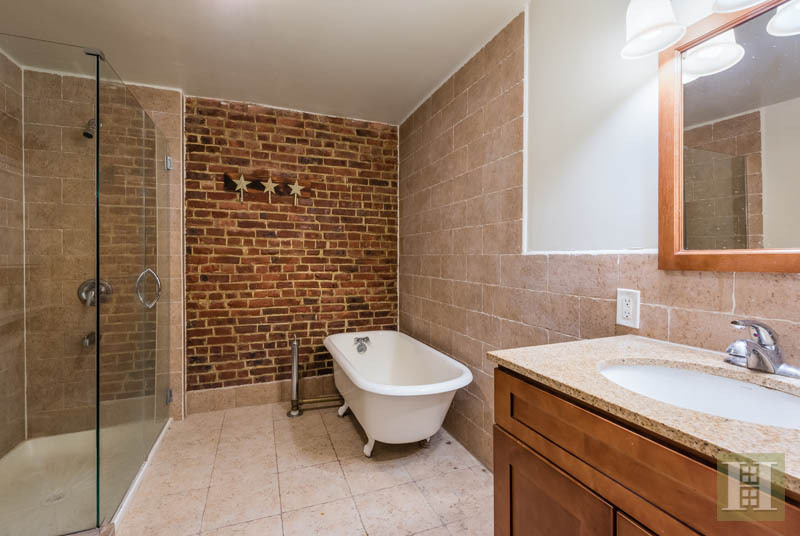 The kitchen and bathroom were outfitted with more modern additions which blend well with the historic detailing. 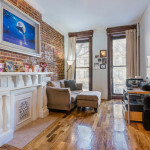 (Do you notice a theme of exposed brick throughout the house?) 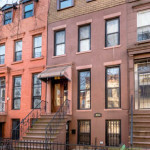 The brownstone is currently configured as a lower duplex, which has access to the backyard, and an upper duplex. 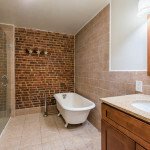 Both units have two bedrooms. The exterior is just as nice as the interior–we especially like the prominent stoop and the shingled roof. Our only complaint about this listing? There aren’t enough pictures to enjoy!